- Periodic Manuring & Nutrition, Pesticide control, Replanting as per need. 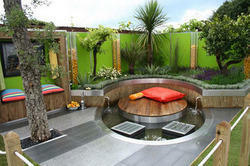 - Landscaping of courtyard, Foot Paths, Fences, Boundaries, Grass areas. We are an acclaimed dealer and supplier of imported tiles- bathroom. All tiles are procured from highly reputed company to ensure the quality of products as customer satisfaction is our prime concern. We are ushering in new era of Eco-friendly environment. This not only helps us to enhance our efficiency & productivity but also puts forth a picture of clean, green and socially responsible corporate sector. We are one of the most promising consultancy services, which cover the wide spectrum of advance agriculture. 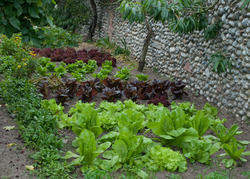 We also provide Landscaping & Horticulture Services. These include making gardens suitable for the society, and watering the plants at regular intervals. We also provide services for keeping your gardens neat, clean & well maintained, using suitable fertilizers and various other techniques.